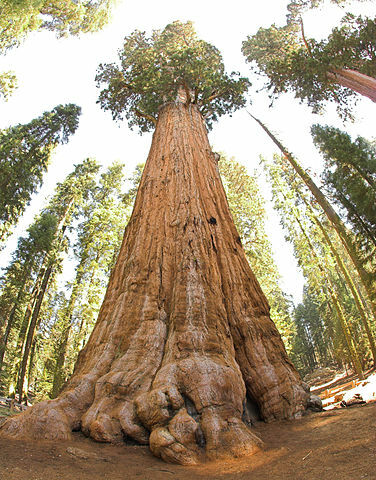 General Sherman, a giant tree located in Sequoia National Park, California is the largest tree in the world. The tree has an approximate age of 2300 - 2700 years and known as one of the longest lived tree on the planet. The height of the tree is 83.8 meters and diameter is 7.7 meters and approximate volume of the tree is 1,487 cubic meters. Based on its volume it was being known as the current largest living tree of the world. The tree was named after the American Civil War General 'William Sherman'.